I’m one of those people I’d class as unlucky & always feel quite suspicious when things begin to go my way but I’ve had surprisingly good luck lately & for now I’m going to attempt to enjoy it! 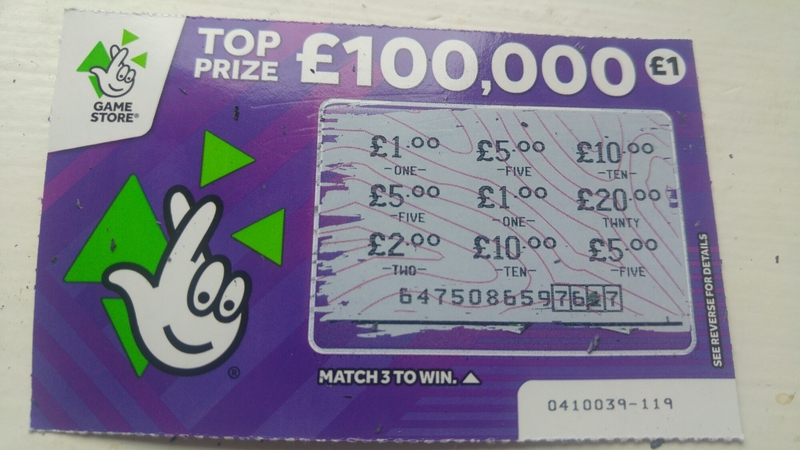 My streak of luck started last week with a £5 win on a purple scratch card that the Mr got me. It’s something we only do occasionally so I was quite pleased with winning. We did our usual thing of buying 1 more each out of the winnings and keep the rest. I won £1 again on my one too.. Another Relentless.. Cheers! I also won a box full of baby bits this week but unfortunately everything was for 0-6months so no good for Izzy. I ran a poll on Twitter to see if people thought I should run a give-away or donate the box to charity. After I had filled it up with more items of course! The overall vote was to donate it to a Charity. If you have any suggestions I’d love to hear them! I completely forgot I had won extra SmartThings from TheInsiders and was pleasantly surprised when a surprised delivery arrived for me this morning! I won 3 items which were a multi sensor, a motion sensor and a power outlet. I’m really pleased with them as I love using them around the flat. Now all I need is my LGG4 to return from being repaired so I can connect them all and continue using them! I have to say I absolutely love being an Insider and having the opportunity to take part in their product campaigns and the last two have really appealed to my geeky side. I can’t wait to see what campaign they run next! !